Travelers need to benefit from enhanced portability, so any item you may want to purchase for someone who doesn’t sit in one place all of the time needs to be a bit smaller than the usual. However, not all presents are the same, just like not all people have the same requirements and preferences. We’ve taken the time to showcase some of the coolest and most useful gadgets for travelers that we have come across while doing our research. If you have the time and availability, perhaps you should check them out. This award-winning product could save lives. 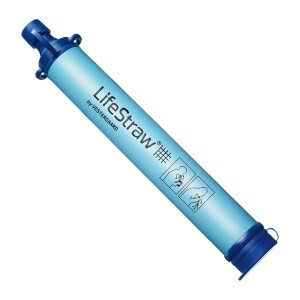 Clean water can be scarce, and in case something goes wrong, this item could make the difference between life and death. It is perfect for travels and emergencies and should be part of every disaster kit. It uses no chemicals to filter the water, and it doesn’t require batteries or other energy sources. It can filter up to 1000 liters of contaminated water, meaning you can be safe in any environment and for any period of time. It removes all the pathogenic microorganisms so you can be safe and remove thirst from your list of problems. And the tiny size makes it perfect to pack in your bags! When you want to pack light, this item is going to save you a lot of space. 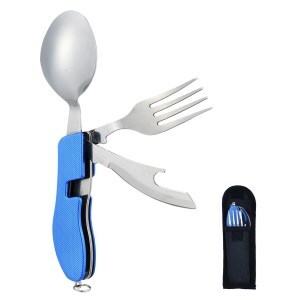 This 4-in-1 product contains a fork, a spoon and a small knife that acts as a bottle opener, too. It can help you be more environmentally friendly as you say goodbye to plastic cutlery and start using this handy item instead. The highlight of this product is that it’s light, perfect for camping and the sturdiness makes it ideal for any heavy-duty tasks. It is easy to carry around and safe. The product is made of stainless steel, is rust free and non-toxic making this product one of the safest bets when it comes to travel products. The modern times come with bright lights even in the middle of the night. And the best way to protect your eyes and ensure a good night sleep is this product. It is made from natural mulberry silk on both sides and is going to be smooth to touch and will relax your eyes. The silk will allow your skin to breathe, keeping it cool on warm summer nights. It is easily washable and takes practically no space in your bag. It is adjustable so it can fit perfectly on your head and it won’t tangle your hair. This way you can be prepared for a good night’s sleep no matter where you are. Traveling can be messy, especially when you go away for a long time and you ALWAYS seem to forget something back home. But that won’t be a problem anymore thanks to this product. 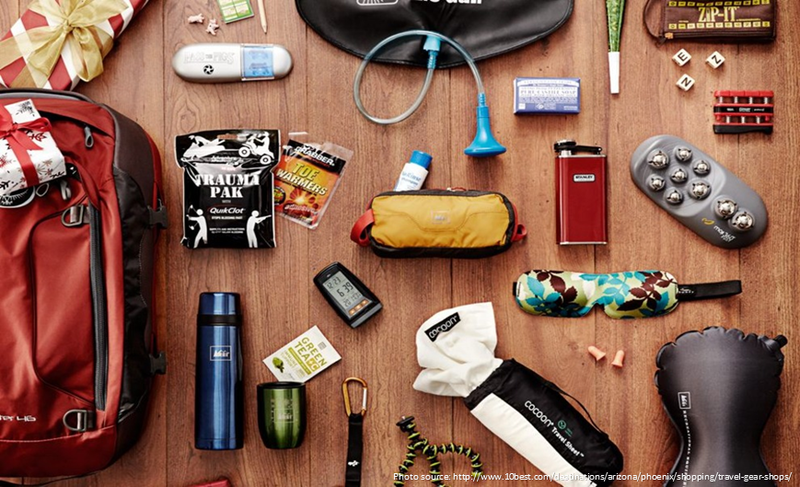 It’s an exhaustive checklist of everything you could ever need on a trip. It’s almost like a personal assistant that reminds you of what you’re missing in order to have a perfect leisure or business trip. 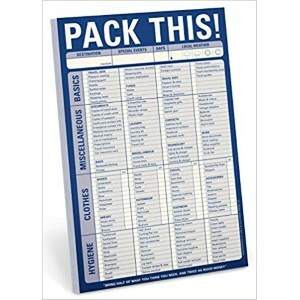 It includes 60 small sheets that you can pack in your bag, and the lists include absolutely every scenario so you’ll surely find something that fit your needs. This could also make a great smart gift for a travel lover or for someone a bit forgetful. Traveling is not just a necessity. It’s a way of life. And what better way to keep track of your visited destinations than a scratchable map? 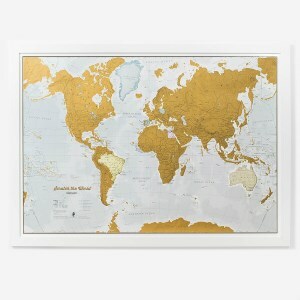 Scratch the places you’ve been to and admire your achievements and dream of new exotic adventures to cross off the map. This inspiring product speaks for itself. It’s a solidly built poster with immense cartographical detail, more than any other product. It features countries, cities and even hill shading. And it’s easy to use – just scratch off the country you visited and reveal the color underneath. Mark every town and hang it on your wall for you and your friends to admire and inspire! Coffee is what makes the world go round. But what do you do when you’re in a remote place, like a mountain, and you can’t make coffee? You buy and use this product. This espresso machine is compact and weighs next to nothing. 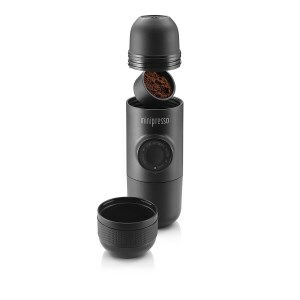 It can fit in all bags and features an innovative design and an efficient extraction pressure system for a rich and tasty espresso. And the cup and the scoop that come with it are going to make your life super easy. It can even grind your own choice of beans for the perfect taste. And it’s such a joy to use. It is hand operated, so there’s no need for a plug. Enjoy! Getting lost is not an easy thing to get out of. To prevent it or in order to find your way out of any situation like this, we recommend this product. The device has a color screen for more accuracy of the landscape and is fully readable in bright light. The internal mechanism is a high-sensitivity GPS and the product features a Glonass receiver with a quad helix antenna, meaning you’ll have signal even in remote areas. 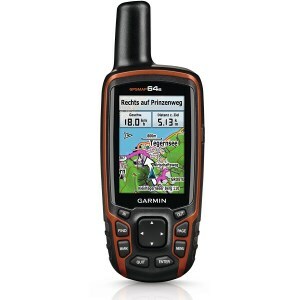 In order to make sure you have all the maps, the device comes with wireless connectivity and 4GB of internal memory and a microSD card slot that already has 250,000 preloaded caches for paperless caching from Geocaching.com. Traveling with pets is complicated. You can make things easy by using this silicone dog bowl. It is ultra portable, taking up no space in your bag and is very convenient – take it out, unfold it and fill it with delicious food or water for your pet! The materials used for the manufacturing of this product are safe and nontoxic, meaning you can feed your pet without a worry. They are also eco-friendly, so you basically make your pet happy AND keep the environment clean. The best part? It is extra durable and can be reused as many times as needed after just a simple wash. And it comes in awesome colors, too! First impressions matter. 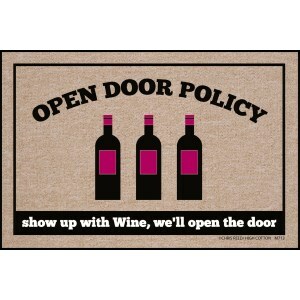 With this doormat that has the message Open Policy Wine on it, you’ll let everyone know you have a developed sense of humor. This product has the ‘’made in the USA’’ quality stamp on it. It is made of carefully selected materials, most important of which is cotton. It offers durability to the mat while making it easy to clean. The colors are persistent even after extended use, and even after repeated washing. And, talking about cleaning, you just need a hose and brush to make this bad boy look like new! And you can use it indoors or outdoors, or it can make a fun housewarming gift. An incorrect neck position can be damaging to your backbone. 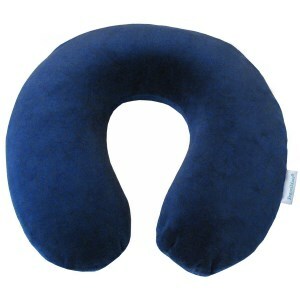 To prevent this, we recommend you the Travelmate Memory Foam Neck Pillow, a product that changed the market with its innovative patent. The pillow has a built-in removable insert so you can adjust the thickness and model it the way it feels most comfortable to you. It’s made of high-quality memory foam, one that doesn’t lose its elasticity even after extended use and one that feels soft and comfortable as you sleep on it. Yeah, it’s perfect for traveling, especially on airplanes or car seats. And it comes in dark blue and is easily washable. A functional travel size blow dryer is hard to find. But look no further because this is the product you’ve been searching for. This blow dryer has the power of a standard one but comes in half the size. It’s compact, takes little space in your bag, yet it does its job perfectly. It has two heat and two air settings with a quiet fan and motor so you can adjust the settings according to the sensitivity of your scalp and hair. 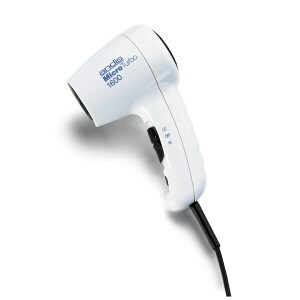 The blow dryer is powered by 1600 watts, and it runs perfectly connected to any plug. With this product’s 5-year warranty, you can travel in style and without a worry! Seeking some inspiration to spice up your travels? 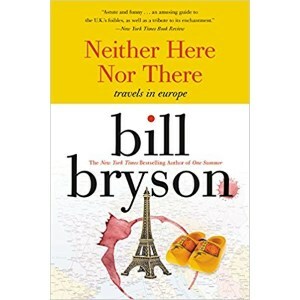 Neither Here nor There by Bill Bryson might be the best choice. This exceptionally well-written book by this famous writer is what memoirs should be. The book tells the story of the writer’s backpack travels in Europe, during the seventies and how 20 years later he decided to retrace his steps. It is a surprisingly funny piece of literature that could inspire anyone to pack their bags and start a new adventure. It features all kinds of helpful tips and gives you that wanderlust we all love. The paperback is printed on high-quality paper and could make a wonderful gift for anyone. Most people love to travel. When you want to buy cool gifts for travelers and you cannot decide what to offer them, it is a good idea to think about the time that the person spends on the road. Each of us is delighted with the idea of traveling, living great adventures, seeing new places and discovering new things. There are, however, two types of people on this Earth: those who just dream of traveling around the planet and those who actually do it. No matter what category you belong to, you definitely know at least a person who is so passionate about traveling that you would never see again if traveling were free. Those passionate about seeing the world are adventurous, energetic and enthusiastic people. They are always eager to face new challenges and learn new things. They are in a constant search of new experiences, continuously exploring the offers of travel agencies or airlines. 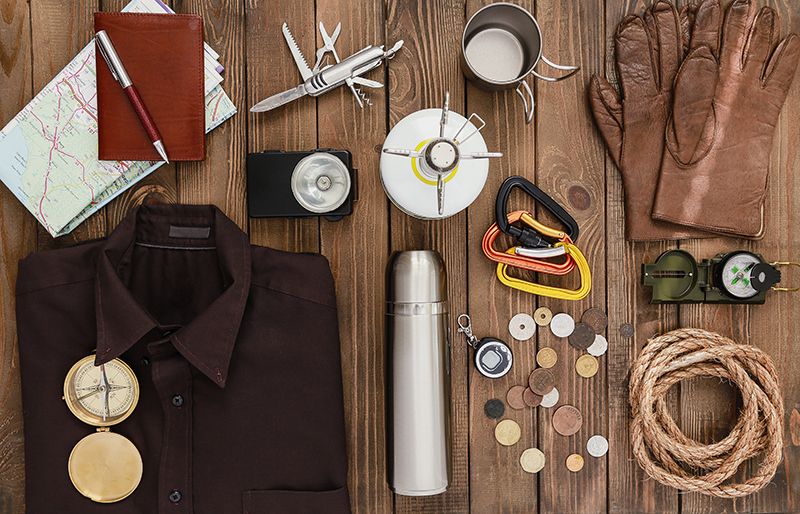 What could you offer them so that your unique gifts for travelers might be worth remembering? With the wide range of options available, you might discover that making a wise choice in this case is more challenging than you might have thought in the beginning. However, we have put together a well-researched buying guide for you with the purpose of assisting you in finding the best gifts for frequent travelers today. Those passionate about traveling are adventurous, enthusiastic and full of energy. They love to encounter new challenges that can enable them to learn something new as often as possible. They are continuously exploring new places from around the world in search of new mysteries that wait to be discovered. They have seen countless cultures and customs. They have lived numerous adventures and have developed a special aesthetic sense. Under these circumstances, you should be careful not to choose a boring gift for them. Be unique and turn this occasion into an opportunity to show your friends that you care about their passion. Everything from a travel gear organizer to a neck pillow and a water bottle can be a good choice if it has something special to give or symbolize. Generally, people who have a free spirit do not value material things more than symbolic ones. While traveling from one place to another, they follow the principle of rather having a passport full of stamps than a house full of stuff. That is why it is quite difficult to find an item that really excites them. However, if you know them well and focus on the uniqueness and the practicality of the presents you should offer them, you will be able to make a great choice. Even the simplest portable charger or the most unique noise cancelling headphones can bring joy into the heart of constant travelers. Depending on the preference of the person you are going to purchase a present for, you can also choose between a suitcase with wheels or a backpack for practical travelers. If you do not know what kind of traveler you are dealing with, it would be a good idea to choose a small backpack that is suitable to be used as a hand luggage. Even the greatest adventurers engage in a simple city break every now and then and such practical items will be useful for them. A map of the world never hurts anyone who travels often and the bigger the map is, the better. It can showcase the places they have been to with their friends or the places they want to visit with them in the future. When you already have some great ideas for your next vacation, it will be easier for you and your traveling buddy to pick a destination with the map in front of you. Apart from the map that should be part of any traveler’s portfolio, items like a MacBook Air or Kindle are from the category of tech items that can become great presents for people who travel often. Even when you choose a small item to offer as a gift to the special man in your life, you should pay careful attention to the quality of the present you intend to purchase. It is always better to offer less but focus on high-quality materials and proper performance enabled by the items you choose than opt for a bulky gift that does not score well from this perspective. Men do not wish to receive big presents and are more focused on practicality features when it comes to this. They always love to receive something that they can use immediately to cover a certain practical need they have. Moreover, they are not into fancy designs or colors. Simplicity and elegance are the key features to focus on when choosing a present for your life partner. The simplest item that he can instantly use to complete a certain task will be a highly appreciated present from your part. Finally, always choose practicality over a big size and extravagant designs when it comes to making a nice gesture for the person you love the most. Men will appreciate this attitude for sure.